Ships in harbour are safe, but that is not the what ships were built for. 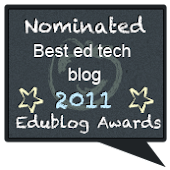 Throughout 2011, anyone who spends time online will have witnessed the increased focus on leadership in education, creative thinking, the spreading of Open Education Resources (e.g. MIT Open Course Ware , Open Culture, among many others) as well as the growing tide of free education, especially at post-secondary level. And of course, technology, technology, technology - in all its forms and areas of influence. Gaming in education is taken seriously as are other multimodular forms of presenting and engaging learners. Which brings me to ask about the role of social media in education - is there a place for it? If so, why? More than only for an unknown distant future, these are skills which learners today need to be comfortable and confident in. It is when they are at school/college that they can practice them in a safe, peer-level environment. From learning how to conduct efficient and effective online searches, being able to sift through the never-ending data available, to learning how to blog and use Twitter as a collaborative learning platform, educators have the responsibility to teach these skills, not only to motivate and engage learners, but to help prepare them for their futures. I have frequently been confronted with the time-consuming argument that not all learners need to learn about social media and that "successful education" is really about passing exams. Although I may understand this limited view of education (after all, it is an opinion among many other attitudes and approaches to education), it has certainly never been one that I share or practice. Not all skills may necessarily be labelled as "21st Century Learning Skills" - collaborative learning is how humans learn, after all. Throughout my life in classrooms and staffrooms, collaborating in teams, with partners, with the local community, has always taken place. What is different today is how much broader and wider these collaborations can effectively occur. From the above list, sense-making, social intelligence and adapting to new ways of thinking are also not unique to "21st Century Learning". They have always been required as they are inherent features of what it means to learn. What is strikingly new, is the need to guide learners with media or digital literacies. 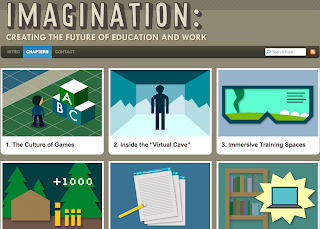 This skill is not merely the ability to use a digital tool; it involves so much more. Let's take blogging, for instance. 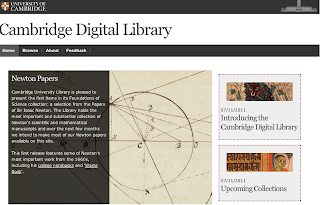 Blogging contributes to a student's E-portfolio; not one that is tucked away in an institution's system or VLE, but one which is available anywhere, anytime - even when a learner leaves that particular institution. When regarding a blog as a portfolio, students can more easily demonstrate how they communicate with digital tools, whether these be image editing, uploading a PowerPoint presentation to SlideShare, creating a Prezi, participating in a Voxopop or any of the many tools available to all. Learners may be on social networks and attached to their mobiles, but it is quite another matter to use digital tools for learning. This where a teacher needs to facilitate and guide learners to develop their digital literacy skills. * Blogging encourages transparency - learners can share their blogs with friends and family; after all, so much of what happens in classrooms remains behind walls and doors. There is also no excuse of having forgotten a book or class project in the classroom (and sometimes, there are projects which need to be kept in the classroom) as a learner can share his/her blog with their family anywhere where there is an internet connection. Another consideration to bear in mind, is that this transparency also leads to a dialogue with the curriculum. More on that below. * Digital Citizenship - Digital citizenship covers issues such as E-Safety, Cyberbullying, one's Digital Footprint but also issues as how to participate in online communities and maintain a digital identity. Blogging may be a flexible platform to show-case one's digital literacy skills, a space to develop an independent voice, but blogging is also space of dialogue - not merely a product of consumption. It this rich feature of dialogue that adds to a learner's motivation as well as to their abilities in dealing with one form of digital literacy. * Blogging as Dialogue - In a recent conversation with John Goldsmith (@cyberjohn07 and author of De Tools of the Trade) John expressed how being a blogger is often an act of bearing the loneliness of the long-distance writer as there is seldom any immediate feedback. 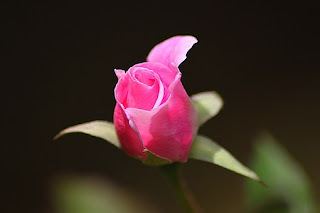 If, on the one hand, I too understand how time is never enough and that, I too, so often read a blog but fail to contribute a comment (and let me be honest - I read many, many blogs; I simply don't have sufficient time to comment on all of them, despite appreciating every single one! ), adding a comment to a blog posting, contributing to the open dialogue is an essential skill of blogging practice. Again, even though our learners may be digitally connected, providing constructive feedback, opening inquiry, adding to dialogue - whether their personal voice in an opinion/reflection, or related more closely to their studies and curriculum, these are skills which need to be tapped into and honed in. Effective digital collaboration comes with practice, while open dialogue leads to further learning and critical thinking. Learning is knowing how to face winds of change. 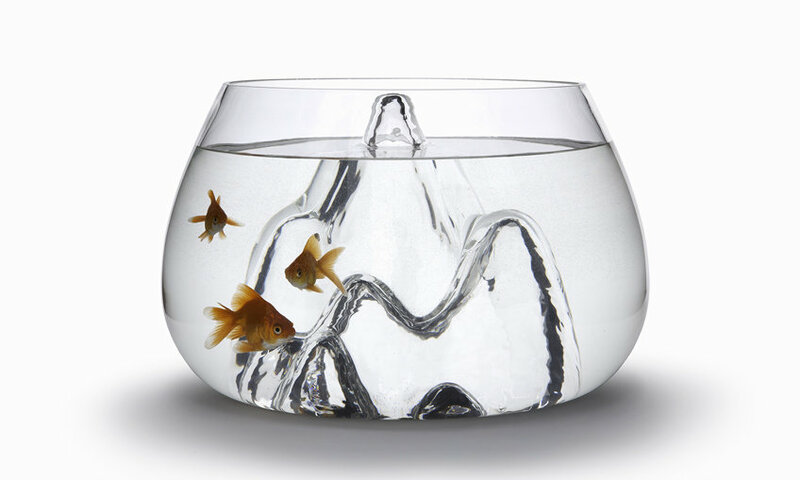 Learning is leaving the fishbowl, swimming confidently in open seas of change and life. Classroom learning in safety leads to living more confidently, more securely in today's digital world. How do you see the role of social media developing in classroom practices? In many places, it is learners who are influencing their teachers to make more regular use of digital tools, platforms and social media in and out of classrooms. Throughout 2011, I still encountered teachers who would express their concern that students should not open their laptops in class, otherwise, they would only be Facebooking and not paying attention to class. Throughout 2011 I also encountered teachers who, besides email and possibly clicking on a Google Doc's link, still had no clear idea of how rich digital education could be. And yes, during the year 2011, I met learners who created amazing digital stories, learners who, previously bored out of their minds, now spent their breaks in the classroom working on sites and tasks I had set them to do during class time and were so engaged did not want to leave the classroom, learners who for a change, took pride in their learning progress and shared their achievements with friends and family. Learning bridges take time. The massive, complex field of education evolves slowly. How does this chart compare with your local context of teaching and learning? 2011 was a great year of learning for me. 2012 promises to be even more exciting. 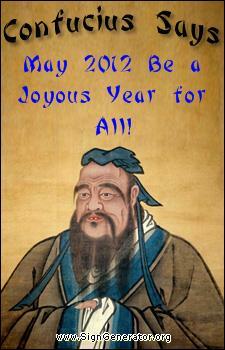 How do you regard teaching and learning in 2012? Despite not working with young learners, I tend to pay special attention to what is regularly created and offered to them. Being Christmas, childhood and dreams are on my mind. These are some places which I have recently found to be the most imaginative and fun for young learners. Seussville is a wonderland of activities, with guidelines and suggestions for both educators and parents. Games and activities, with videos , Seusville is a definitely a place to explore with young learners. You can learn more about Dr. Seuss's characters, while a child can create their own personal Dr. Seuss Avatar (as the one here on the right as an example). They can then be encouraged to develop their own narratives and adventures as a Seuss character. 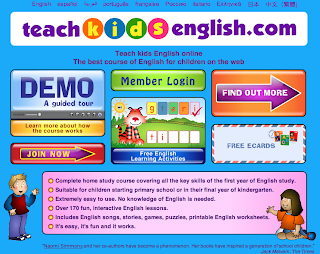 Teach Kids English , based on the award winning Naomi Simmons' books for young learners, offers free learning activities as well as fun, interactive English lessons for children either at pre-school or primary level. 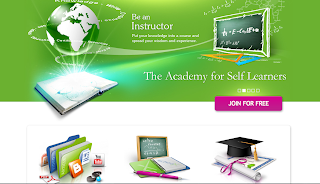 The course is not entirely free but includes songs, interactive activities, stories and more. 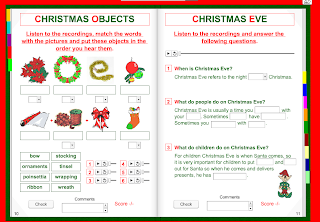 Each unit is thoroughly designed to meet the different language skills and when the child has completed a unit, he/she receives a certificate. While you browse and perhaps consider signing up for Teach Kids English, don't forget to surprise someone by sending an Ecard to another young learner. 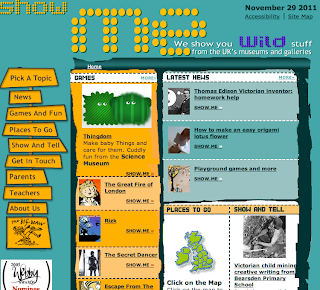 ZooWhiz offers both a free and premium account for learners and educators. Designed for learners between the ages of 5 and 15, ZooWhiz is correlated with curriculum focus (Maths, Reading and Word Skills) from Australia, New Zealand, the UK and USA and allows users to select the curriculum which is closest to theirs. Like in Seussville, learners can also create their very own zoo keeper, personalizing their learning and creativity process. 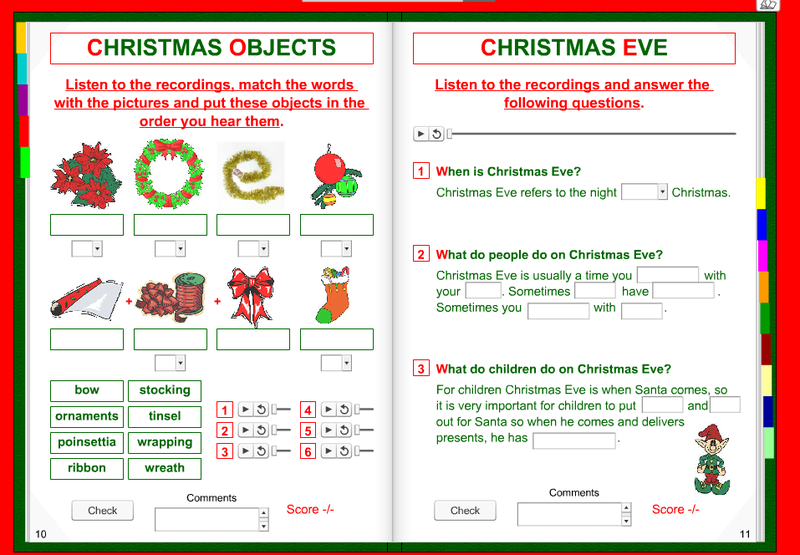 For further information, why not explore the sample activities offered? Two further sites for young learners which are gem for learners and educators are Kindersite Project , offering activities and learning games for children between the age of 7 and 12, and For Kids Only, which offers games for both on- and off-line time. 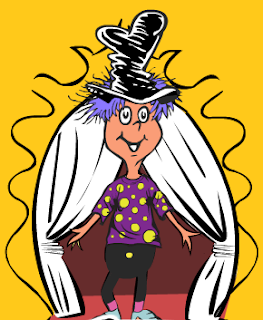 Winnie The Witch, based on books of the same name, has creative activities while Gamequarium has printables, games, and other resources for educators. Scribblitt encourages young writers to publish their stories and Write Rhymes is fun for writing and rhyming discoveries. These are but some suggestions among many other sites which are currently offered to young learners. What other gems would you suggest for young learners? Among the many networks that kicked off in 2011, one of the most innovative has been ccGlobal . 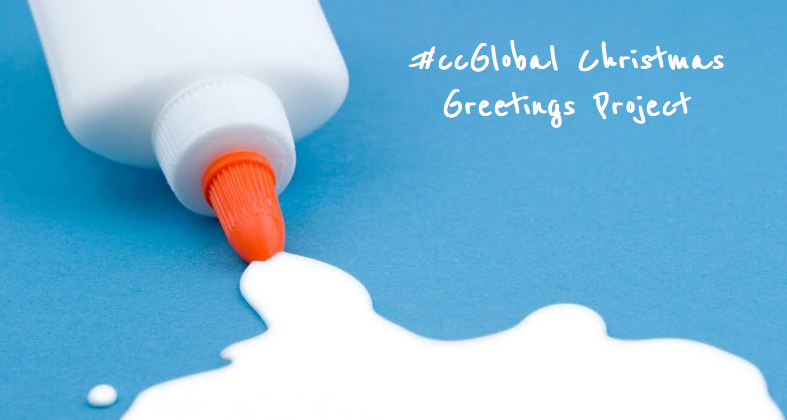 I first heard about ccGlobal through @LiamDunphy , an amazing educator who has captured the imagination and contribution of so many around the world with the Christmas Greeting Exchange Project . ccGlobal is a NING where membership is by invitation, however I would really advise contacting a NING member and joining this community of creative and enthusiastic professionals who have already created something very special around the world. Even if you have not contributed to the #ccGlobal Christmas Greetings Project yet, I have no doubt that Liam Dunphy and his team will be delighting you with many other collaborative projects in months to come. schooX is a new learning space that promises to bring innovation in one's daily learning practices. With features enabling you to organise resources, share, create learning collections and online courses, schooX is definitely a platform I will be using in the new year with its ease of navigation and use-friendliness. SlickPlan produces beautiful flowcharts which I find useful for reading and writing. Flowcharts help creating narratives and organising ideas displayed visually. Slickplan is free and only needs users to sign up. Presentations may get students rolling their eyes (huh? another pressie to do?!) so why not introduce Speaker Deck which allows learners to share their presentations online? And speaking of sharing, Yokto is a free video platform which adds and manages video content on your website or social network. Inspire learners to create their videos for educational purposes, whether on road safety, digital citizenship or issues which concern them, and have them share their projects. Learners can also collect relevant videos for particular projects or add a mini-group selection of videos to a class wiki. Possibilities are as endless as there are learning contexts. To all those you who happen to by pass by, my best wishes for the continuation of a wonderful Christmas season and prosperous New Year! What new platforms/webtools will you be trying out in the new year? What began as a whispering wind through corridors of power which only a privileged few had access to, has now become an urgent, repeated cry among increasingly more educators worldwide. There has always been a need for change in education; for it is educational systems that prepare the youth for the coming challenges and adaptations of their adult lives. Political systems and economic models may heavily influence the framework of education, however, today it is no surprise that with global connectedness, it is the power of the Internet which has become the electric driving force of change - within and out of education. 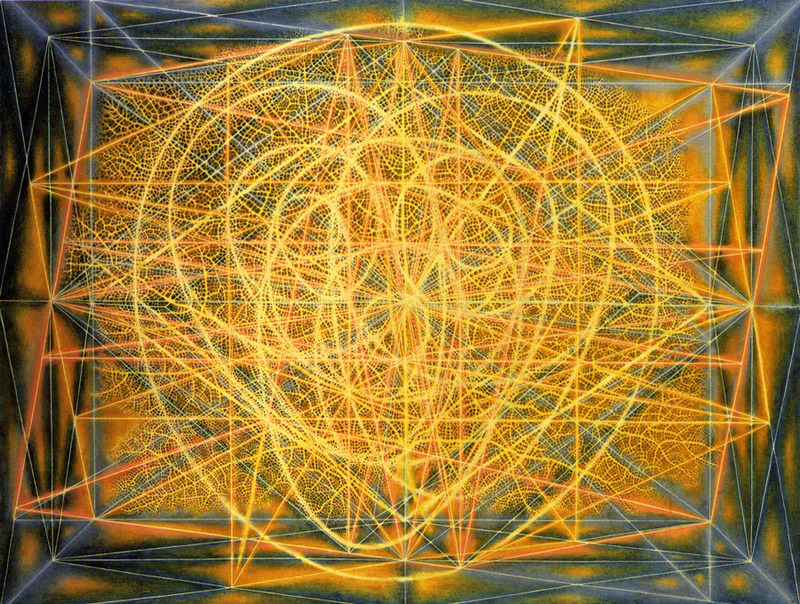 This pulsation of change is not a particular feature of today either; it began in the late 1980's, with scientific, industrial and economic changes. Education, as so often happens, tends to lag behind the changes in the real world outside classroom walls and administrative papers. More than any other field, I feel strongly about the needs for education and preparing learners to think critically, to fulfill their passions in life, to become full fledged participants in their social environments. Yet, the world of education is slow. Changes come and go in fields of medicine, technology, industry; the public demand better consumer quality, friendly consumer prices, cutting-edge treatments for their health and lives. Nevertheless change in attitudes, in teaching approaches, in educational management take time to trickle down to classrooms. If in the past educators were trapped by lack of funding for professional development, today there is little excuse. 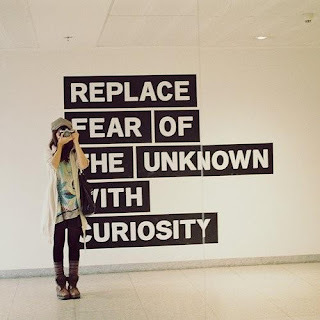 There are so many ways to keep up-to-date and to learn openly, freely, without fear of reprisal. It is a question of personal choice. Are you ready to prepare, to engage, to captivate, to encourage their learning? Ah! But not everyone is ready, not everyone wants to learn digitally, you may say. Yes, that is true. I too have encountered in-built resistance from both educators and students. Yes, context may be all, but so is learning, preparing one's learners with the necessary educational ethics, knowing one is doing the best one can to prepare them for a fast-paced changing world, where the future will definitely be different to the present and that learners today require a different set of skills to be able to participate actively in that world. Which does not mean that I may not be wrong. After all, some people still believe the world is flat (see S is for Stephen). And that is ok. Change takes time and ignorance is destined to fade away. 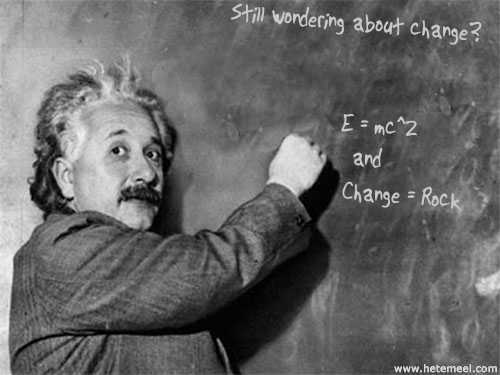 Change, however, waits for no one. Two examples I would like to add here come from the world of publishing and music. 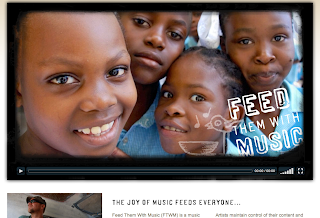 Feed Them With Music is a non-profit organisation which helps feed the globally malnourished by contributing with a percentage of revenue from live concerts, artist's merchandise, music downloads and live web-casts. 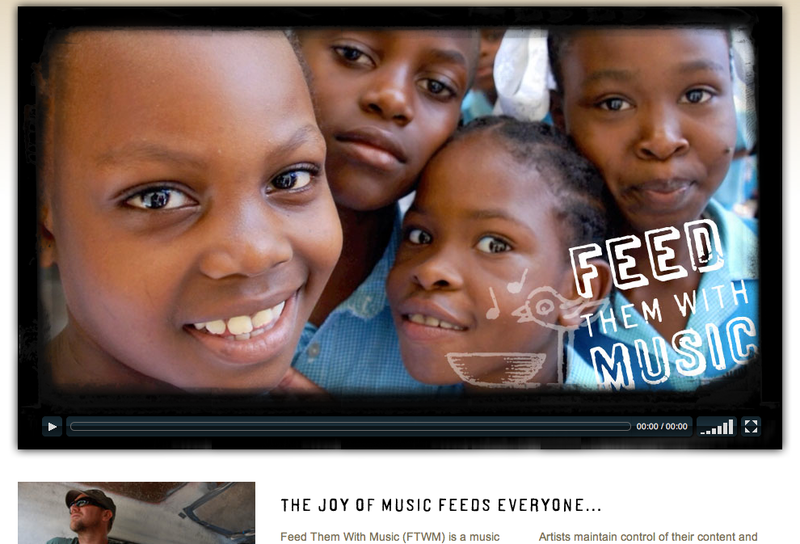 It is no longer a question of holding a concert to help raise funds for charity but a different mind-set altogether. One that is global, open to all. What about publishing? As a curator, I find increasing publications and academic journals open to the public, open and free for whoever wishes to learn. Cambridge Digital Library is an example which comes to mind. leading possibilities is another. 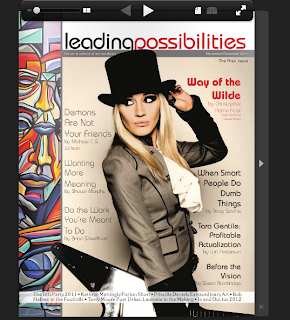 A glossy magazine, with stunning photography, excellent interviews, articles of current affairs and more, leading possibilities is set to become thE magazine of 2012. All digital. All online. Available where ever, whenever, with the visual size one wishes. Entirely up-to-date. Having grown up with medical doctors, it never crossed my mind to have any medical treatment which was not up-to-date, not ethical, nor insured good medical practices. Although I do not hold one's life in my hands and fingers, I cannot avoid being ethical in my educational practices, when it comes to teaching and learning. Education is an integral element of change. What winds of change will you be whispering in your world of 2012? If I were to open a door of my world, then wishes and hopes for 2012 would emerge, hoping that they may find echoes in others' hopes as well. One wish would certainly be for a better understanding and respect for all living things. Or, in other words, for the environment we live in. Whether mountains or plains, forests or deserts, all are beautiful, alive and fragile in face of pollution and human activity. 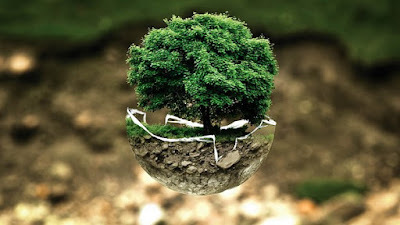 Celebrating the environment is not just a theme of a day. Appreciating a clean and safe environment is something that needs to be done everyday. Blue Planet Network explores water issues around the world, and includes a section with videos, some made by students. Not only is this worth watching, but also motivates learners to reflect on water issues in their own surroundings and how they too can contribute to fight water pollution and waste. Teaching Ideas has a great selection of activities and ideas for exploring recycling and the environment; especially geared towards younger learners, there are many ideas which can be adapted to different levels of instruction. What if you would like something more interactive? 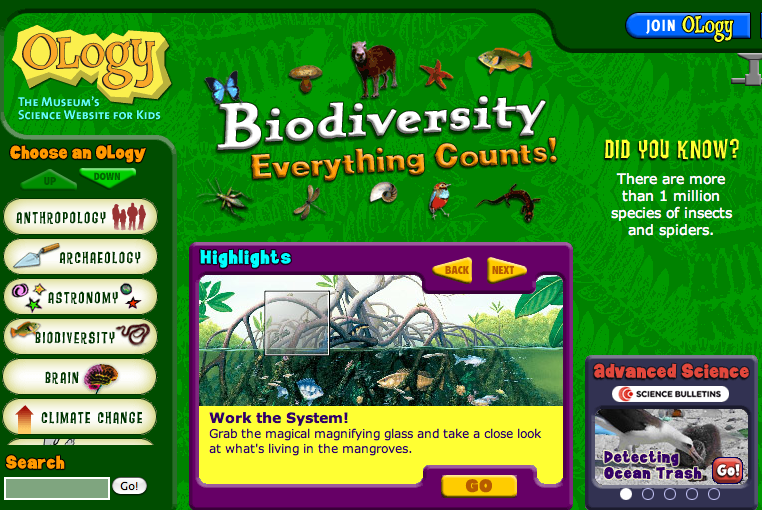 SwitchHerooZoo offers young learners the possibility to to read and listen to stories, create their own online habitat and play puzzles about animals. 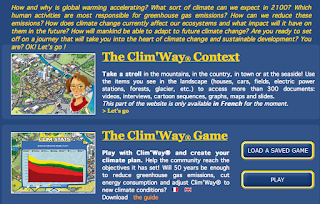 The Green Squad encourages learners to take responsibility for their surroundings, while Planet Science offers regular updates, news and other captivating features, both for the environment and science. 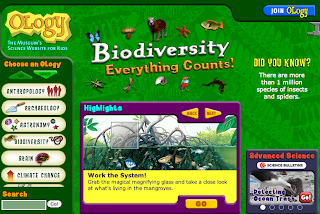 Ology offers games about Biodiversity while One Day on Earth is a fascinating site for learners of different ages. 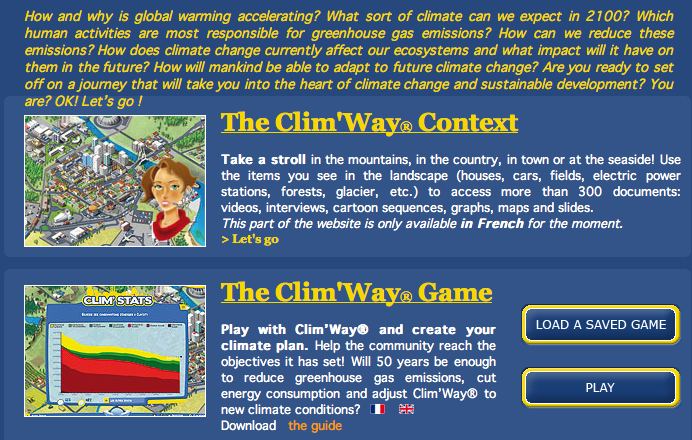 ClimWay, is yet another option - a game exploring global warming and how we can reduce greenhouse emissions. Two animals which are being threatened by human behaviour are the polar bears and whales. Polar Bears International offers a rich bank of information regarding climate change and of course, about polar bears. Whales are amazing animals and the infographic below can be used in lessons as an example for students to create their own visual chart of an animal of their choice. My wishes for 2012 are for a more peaceful, safer, and more balanced world; a world with more respect for humankind and for the amazing planet we all share. Throughout this blog, I have often held in mind young adults, teens and young learners. Perhaps because another year is closing, perhaps because I've been thinking about how quickly time comes and goes, today I'd like to offer some suggestions for adults. If you had to write to yourself as a teenager, what advice, what thoughts would you tell yourself? Dear Me is a site which offers examples of letters written to one's 16-year-old-self. You can read excerpts from the published book, meet contributors and write your own letter. There are videos included and letters from a wider audience of readers as well. Letters don't need to be lengthy and the exercise is great for reflection and writing practice. 2011 went by quickly. Way too quickly for many, perhaps not quick enough for others. As tradition demands, what resolutions will you be making for the coming 2012? If writing lists of resolutions or sending messages in a bottle is not for you, then why not explore a sign generator and add your wish and greeting for 2012? 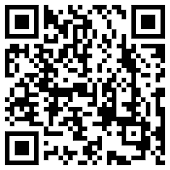 You can find bar code generators to birthday wishes, warning signs and Web 2.0 signs. If in need of a card for a special occasion, Sign Generator offers you a wide choice of options. 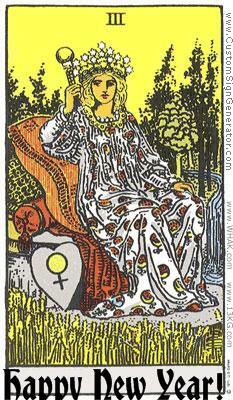 It's OK to have questions - they will open horizons for you. It's not bad to be living where you are now, enjoy every day, each is unique; the day will come when you will look back and appreciate the heritage and roots that formed you. Keep on singing and playing guitar; no one will ever take that love away from you. Never be afraid to experiment, play around with trends, to swim faster, to throw that ball even higher; enjoy the freedom of movement. Trust your instincts for they will protect and guide you. Enjoy every journey, it won't come again. Travel widely, travel wisely. For travelling opens the mind as no book ever can. If I had to write a letter to my 16-year-old self, these would be some things I would now say. And so another year will soon pass by, mingling memories and dreams to come. Scents of winter mixed with warm cinnamon, fresh pine and Christmas colours blend, while families attempt another yearly reunion. No matter how one may feel about the over-commercialiation of Christmas, no matter what religion or place in the world one may find him/herself, Christmas is never to be ignored. 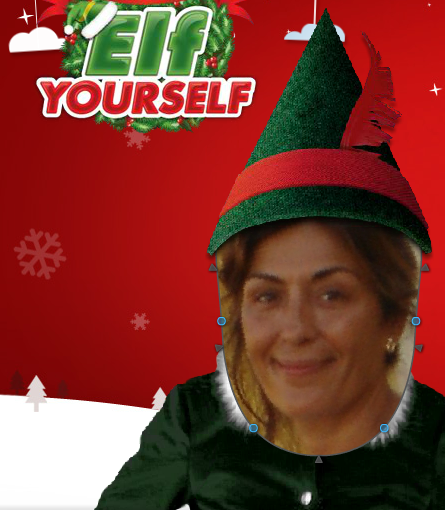 Elf Yourself is a fun place to begin creating a Christmas avatar. 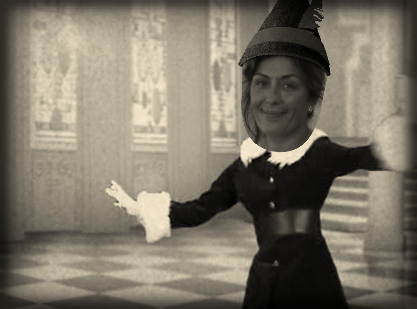 Simply upload a picture, adjust the mouth and select a tune to dance to - all in around 1 minute. You can then share your Christmas elf by downloading your video (which is automatically made) or send it to Facebook. However, there is a small fee to pay for this service. Christmas is never complete without a book and Mrs. Haquet has a most delightful book on Christmas for young learners. As you open the deep green binder, you will find an index to help navigate interactive activities. My only "regret" is that it focuses only on English speaking countries, when there are so many beautiful traditions across the world. 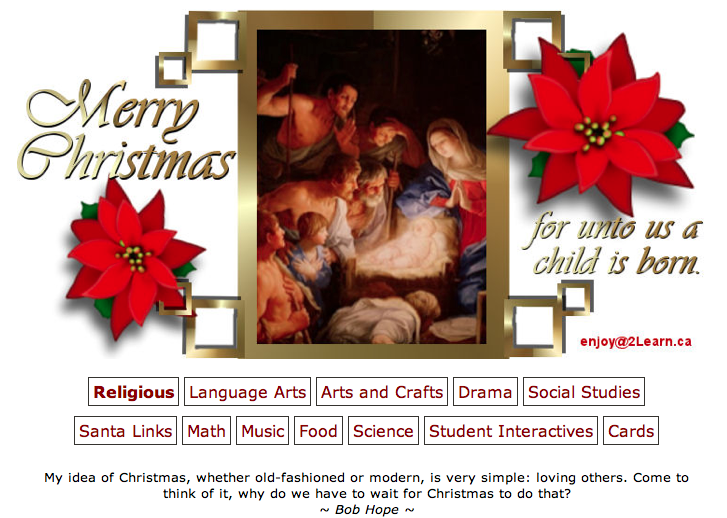 So, my proposal for anyone who stumbles through this blog, is why not create a Christmas book for 2012 with traditions from your world? Select a flip-book which you happen to like (you can browse through a Livebinder, offering some suggestions, which is included here on the sidebar) or choose another platform to create your very own Christmas compilation. Christmas. Whether celebrated traditionally or in a more contemporary fashion, it is certainly one of the events most celebrated around the world. 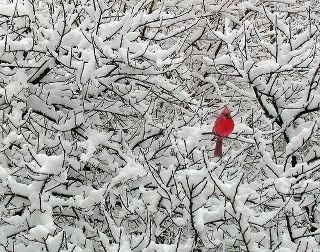 To all, my very best Season's Greetings! Imagine. A world of flight, a world of endless destinations. A world where landing teaches and challenges your imagination beyond expectations. Imagine. Learning without frontiers, learning without fears. 2012 promises to be a wonderous year of learning and these are some suggestions for the upcoming year. Having grown up with adventures and fairy-tales, Remix a Fairytale is surely a fun way to visit and revisit well loved imaginative tales. Take a quiz, re-write your favourite fairytale, watch a video - these are some of the activities Remix Fairytales offers. 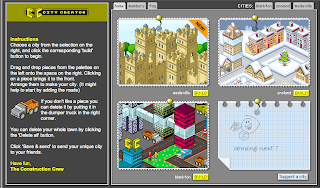 Imagine being an architect and designing your own city! 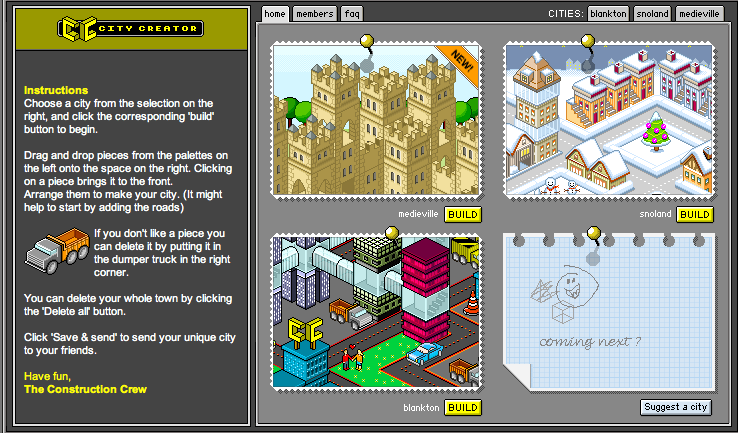 City Creator allows you to build your very own city - and then share it with friends. You may choose from the suggestions that come with City Creator and even contact them to give your very own suggestions. Each city comes with instructions on how to build, and if you are not completely satisfied, you can delete, start again and then save your creation. 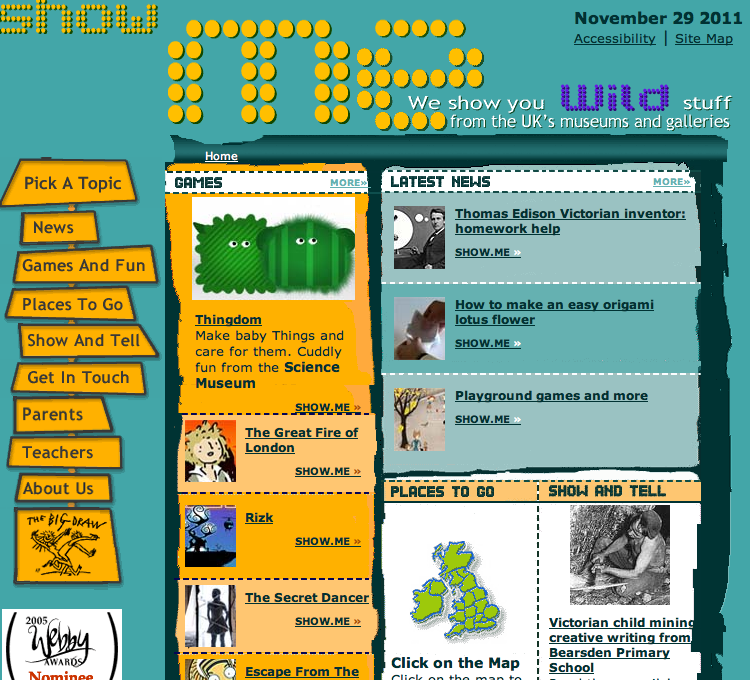 Show Me is another site that is very much worth visiting. Throughout 2011, many museums have set up online sites which offer news, activities and inspiration to visitors, (here and here I have already pointed our some examples and there are others in this blog as well). Show Me is no exception. 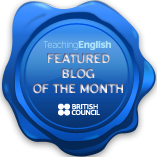 There are links specifically for parents and teachers as well as different links and topics for learners. Games? From past to present, Show Me has something for everyone: from learning about The Wheel of Life and creating your very own, to being a MP for a Week, your imagination has plenty of lands to explore. Imagine. Places where learning happens. 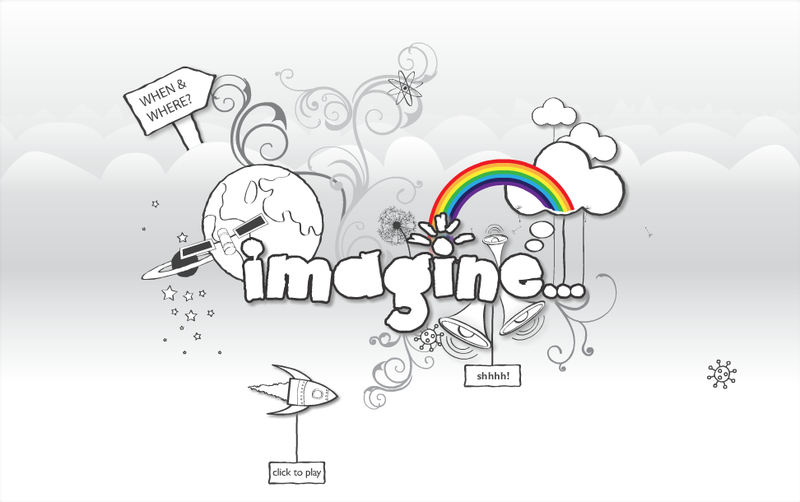 Imagine promises to be an exciting new landing space in 2012. 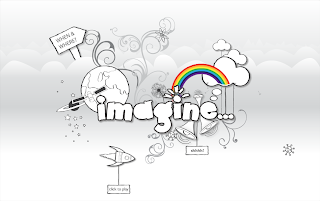 What do you want to imagine? How do you want to learn in 2012?